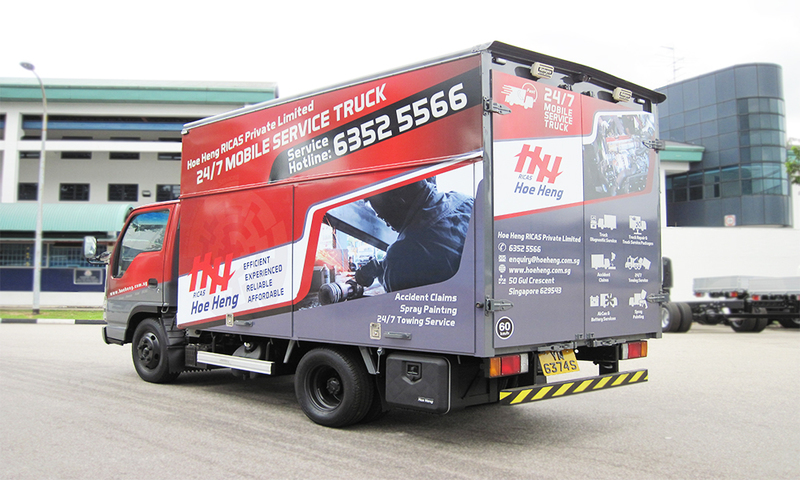 Do you or your drivers find yourselves stuck on the road requiring mobile truck repair? Equipment failure doesn’t always happen in a convenient location or when your technicians are around or fully prepared to troubleshoot it. 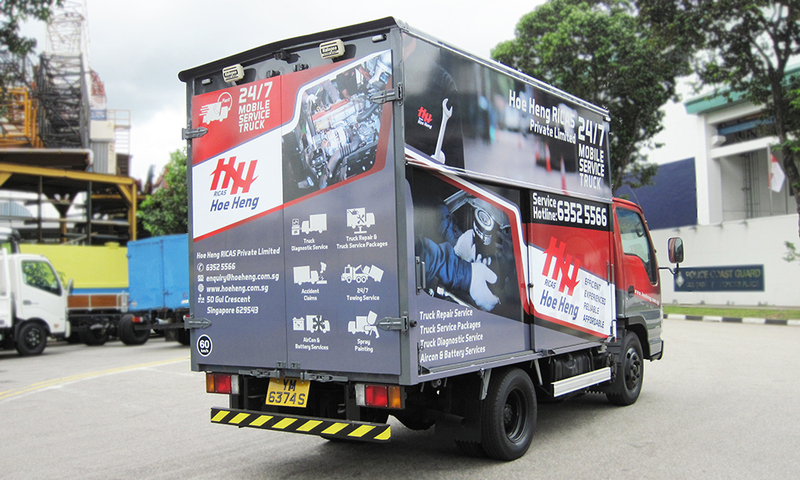 To reduce unscheduled downtime, utilize a mobile service truck from Hoe Heng RICAS. We will have your back! Your problem is important to us, and our well-trained technicians are qualified in diagnosing the root cause. Rest assured that our technicians always follow safety guidelines and best practices when performing recovery work. Whether you are looking to control your overhead costs, short of skilled technicians or expecting an increase in workload, our 24/7 mobile service truck is your number one professional choice in service and repair needs! Providing outstanding service and quality is our promise to you. We cherish long term relationship with all of our customers and will perform our utmost to resolve your issues. The mobile service truck provides unmatched convenience to you by providing all types of services to maintain your vehicles in a single visit. We keep a record of our customers’ previous maintenance data so we know exactly what you need and are able to offer solutions that work best for your business! Hoe Heng RICAS has what you need to get the job done! PreviousPrevious post:Night Express Servicing At Your Site! Make your worries our problem!NextNext post:Selamat Hari Raya to our Muslim friends!